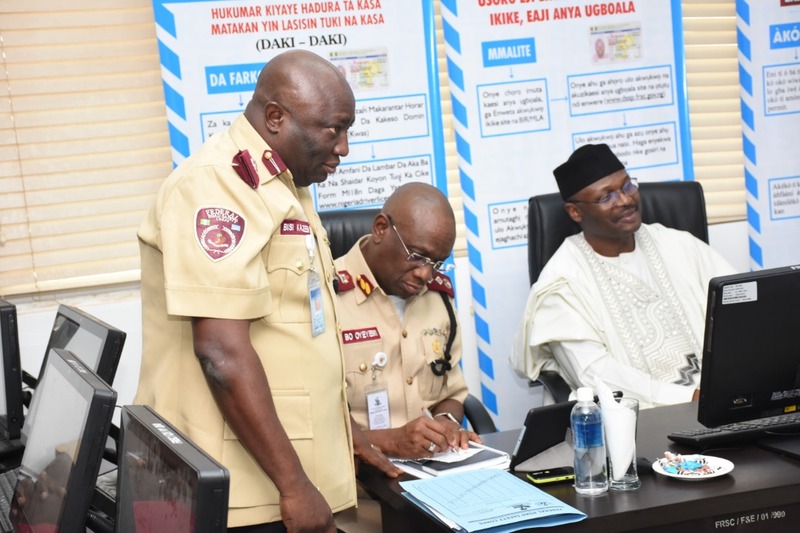 Towards the success of the forthcoming 2019 general elections, the Chairman of Independent National Electoral Commission (INEC), Professor Mahmoud Yakubu today addressed the Commanding Officers of the Federal Road Safety Corps (FRSC) with a plea for collaboration. Speaking as a Guest Speaker at the FRSC Commanding Officers’ Strategy Session held at the FRSC National Headquarters Abuja, Professor Yakubu explained the safety and security challenges of the elections, saying security agencies must collaborate with INEC in order to secure lives and property of the voters as well as voting materials to ensure the credibility of the process. 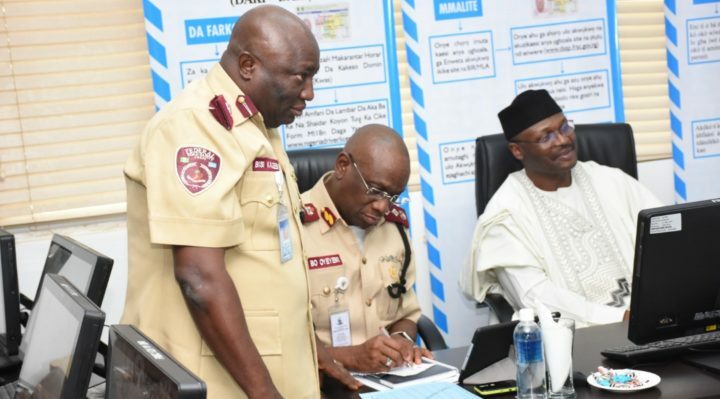 According to a statement issued by the FRSC spokesman, Bisi Kazeem, the INEC Chairman commended the FRSC for its consistent support to the Commission, which led to the successes recorded in the past elections. He assured that the Commission has put all necessary measures in place to deliver a free, fair and credible election in the coming general elections, noting that all hands must remain on deck to sustain people’s trust and confidence in the Commission. 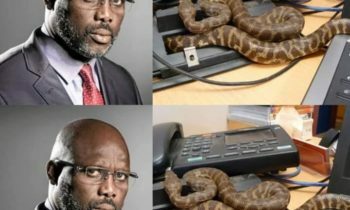 He enumerated the measures so far taken by the Commission to ensure the credibility of the electoral process to include authentication of the numbers of the registered voters and political parties, the collation of the total number of constituencies nationwide, collation of the positions being contested for at the federal and state levels and the challenges which court cases pose to the Commission, which are being tackled head-on as well as prompt release of the election timetable since January last year. The Chairman further assured the nation that INEC is very much ready for the forthcoming elections expected to commence on 16 February, 2019 with the Presidential and National Assembly elections, culminating in gubernatorial and State Houses of Assembly elections in March which would be followed by Area Council elections in the case of FCT. The INEC Chairman particularly tasked the FRSC to assist the Commission in specific areas of security including the screening of the selected drivers that would drive the vehicles to convey the election materials as well as inspection of the vehicles; deployment of the FRSC patrol teams on the election day to guide against violation of restriction order on movement of people and vehicles and providing easy access to vehicles conveying INEC materials, liaising with the Police and other law enforcement agencies for orderly and secured electoral process. He further appealed to the Corps for the utilisation of its call centre for prompt report of distress messages on election day so as to ensure free movement of traffic for voters and passage of electoral materials. 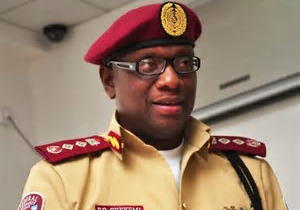 In his own remarks, the Corps Marshal of the FRSC, Dr Boboye Oyeyemi commended the INEC Chairman for taking time out of his tight schedule to address the Commanding Officers and sharing with them the Commission’s expectations of their roles in the forthcoming general elections. He assured the Commission that like before, the FRSC would live up to expectations by playing its own roles in the elections most diligently. The Corps Marshal further stressed that towards ensuring active participation of the FRSC personnel in the nation’s electoral system, the participating staff have been properly enlightened and trained at the various levels, while collaboration with the Nigeria Police and office of the National Security Adviser for necessary synergy is ongoing. Oyeyemi added that FRSC as a non partisan organisation will continue to work closely with relevant security agencies on how to discharge its responsibilities through provision of safe and secured environment for voting. He assured that FRSC will continue to work with INEC at all levels to provide necessary enlightenment on the expectations of their roles. 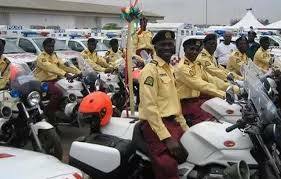 The Corps Marshal seized the opportunity to commend the Commanding Officers on the successes recorded by the FRSC in the last end of year special patrol which recorded minimal cases of casualties, and called on them to sustain the tempo of activities in the new year. 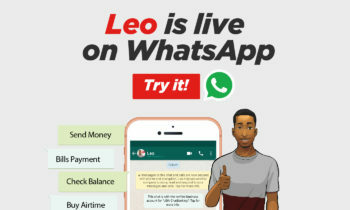 He outlined a number of areas where the Corps would emphasise in its operational strategies for the new year to include campaigns against overloading, speeding and violation of the law on use of speed limiting devices. 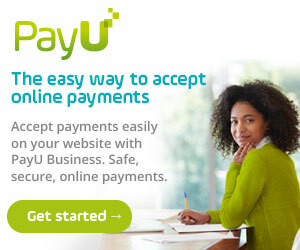 Oyeyemi thanked the President, Comnader-In-Chief of the Armed Forces for his consistent support for the Corps. The Commanding Officers Strategy Session is a platform which the Corps Marshal, members of his Management team and Commanding Officers use to review operational strategies and set new strategic goals for the new year to address emerging trends and observed gaps with a view to improving on previous achievements and achieving the newly set goals for the year.